If you like ultra modern art, this is the first of this series to come! 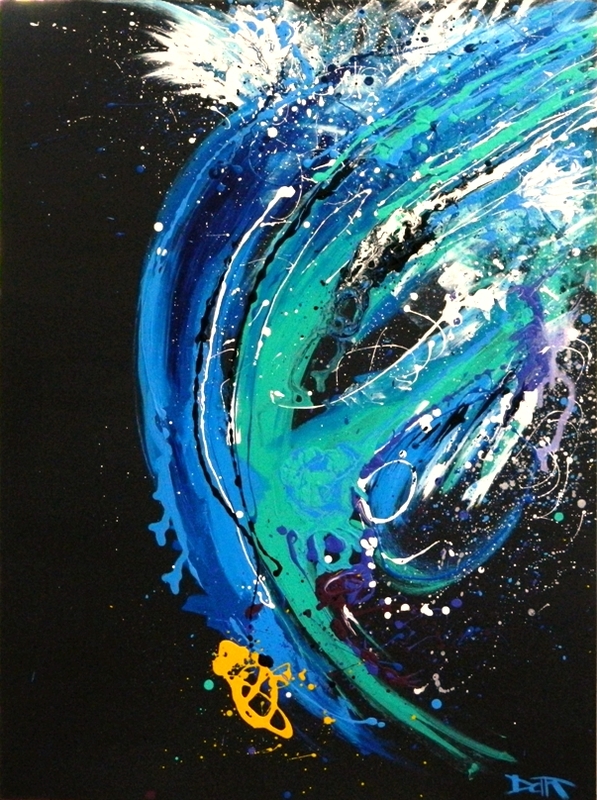 It has a strong blue and medium green influence on a smooth, mars black background. Flecks and splashes of white, blue and green were added with subtle purple and yellow as highlights in this celestial rendering.